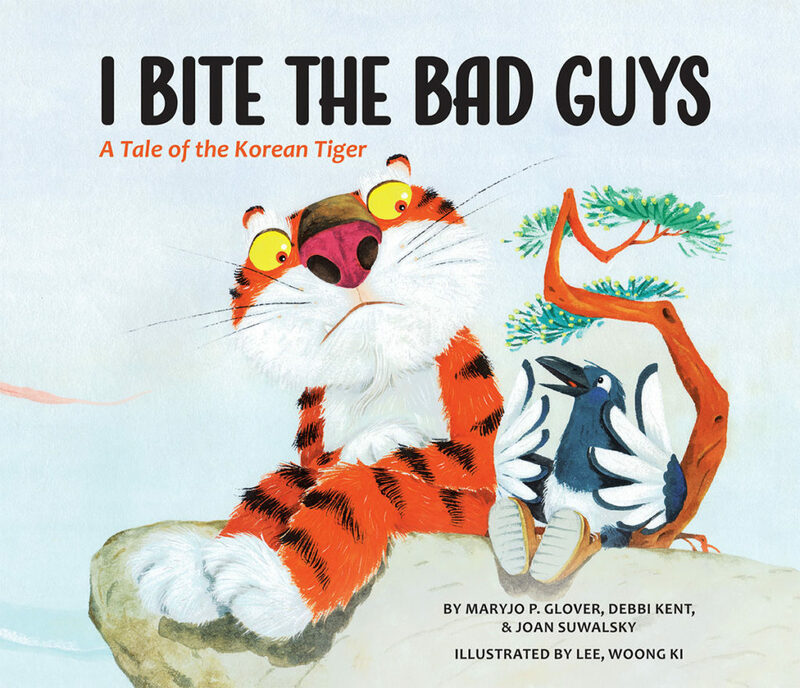 makes a special effort to showcase the work of Korean and Korean-American artists working in many different media, introducing them to local audiences. 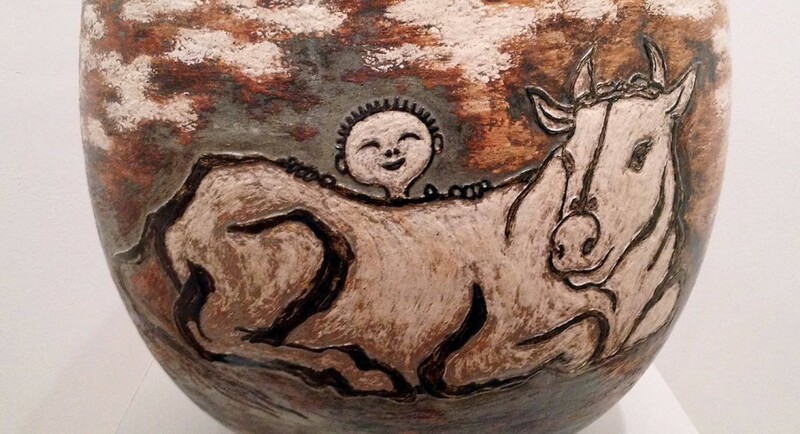 On this particular night the work of Jong-neung Lee filled both galleries of the Cultural Center—60 large pieces of pottery that had been painstakingly shipped from Korea. Mr. Lee, who goes by the artist name, Jisan, was born and grew up in Gyeongju, the ancient Korean capital of the Shilla Dynasty. He spent his childhood surrounded by nature and by the beautiful architecture of traditional Korea. 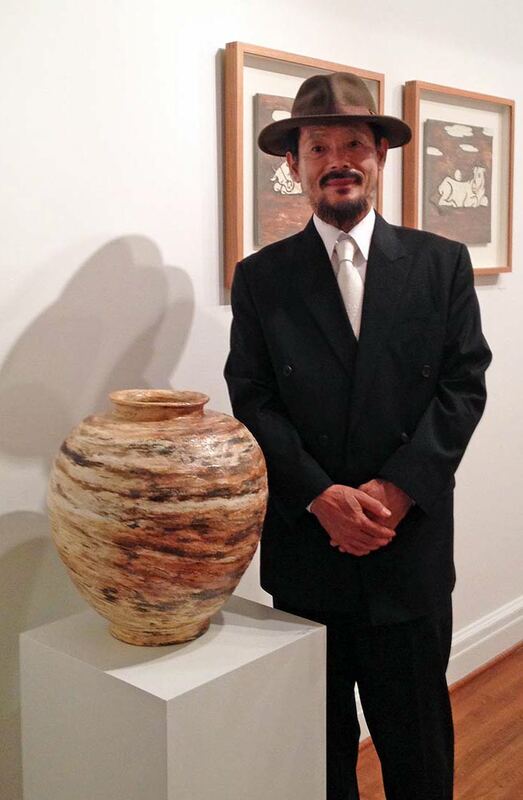 His work clearly reflects his devotion to the ancient pottery traditions of Korea while also reflecting his unique interpretation of them. Jisan has studied clay bodies around the world, striving to understand the uniqueness of Korean earthen materials, and is committed to letting the natural materials that he works with lead him in creating his pots. 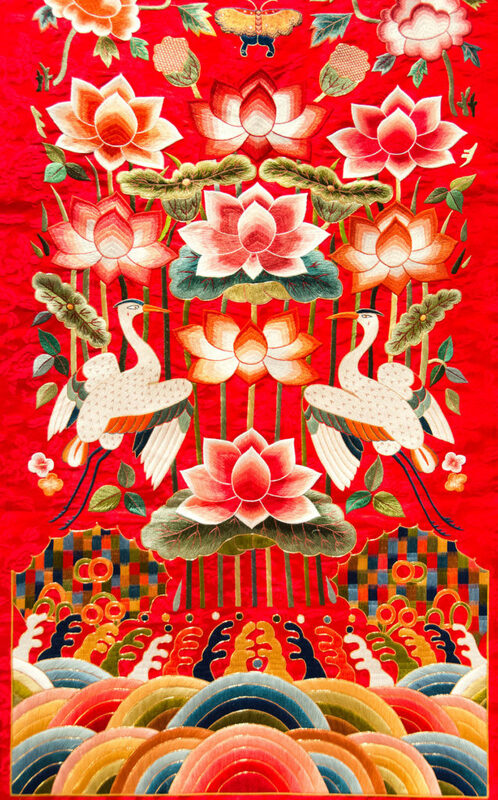 His pieces, while clearly contemporary in spirit, embody the historic Korean yearning to be one with nature. This results in a positive and reflective quality to his work that both touches and charms the viewer. Jisan’s work is a fine example of how modern Korean potters are inspired by, and then carry forward, the long tradition of superlative ceramic art that they have inherited.